The Greater Raleigh Chamber of Commerce’s Member Discount Program offers you and your company discounts on many products and services. Members who participate actively in the program save an average of $1,200 per year. ​For more information on the Chamber's discount programs, contact Jackie Huitt at 919.664.7045. To participate in any of the discounts, contact the company directly. 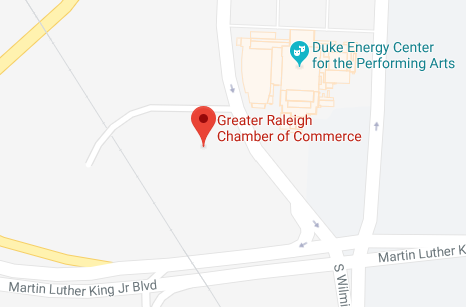 Tell them you are a member of the Greater Raleigh Chamber of Commerce and that you want more information on their special discounts for members. As a member of the Greater Raleigh Chamber of Commerce, you now have the group purchasing power of more than 2,000 businesses. We all know that large companies can obtain better prices and services by leveraging their high-volume purchasing power to demand better deals. By taking advantage of our Office Depot SmartBuys program, so can you! If you don’t already have an Office Depot business account, call Regina Winebarger at 336.803.2104. If you already have a business account, please contact your account rep to discuss enrolling into this program and save even more. Save up to 25% on Lenovo PCs! Lenovo, a global leader in the PC market invites you to take advantage of great deals across its entire line of cutting-edge, reliable, high-quality PC products. These include the award winning ThinkPad® notebook, the highly acclaimed IdeaPad multimedia notebooks, innovative IdeaCentre and ThinkCentre™ desktops, along with a wide array of computing accessories. Call 1.800.426.7235, option 1, ext. 2242, or click here to experience the Lenovo difference! Windstream is an S&P 500 company with communications operations in 23 states. Whether your business needs more Internet bandwidth, new phone equipment, local voice services, or data networking and security, your local sales, engineering, and service professionals from Windstream will deliver you a customized, managed communications solution. New customers receive Chamber discounts and one free month of service with a two or three-year contract. Contact Chamber sales at 919.256.4113 or Thomas.Dunnigan@windstream.com. As a member of the Greater Raleigh Area Chamber of Commerce, you have access to First Benefits Insurance Mutual’s membership exclusive workers’ compensation insurance. First Benefits has been providing quality service to Chamber members for more than 25 years. Did you know that most North Carolina businesses with three or more employees are required by state law to provide workers' compensation insurance? Check out http://www.firstbenefits.org/find-an-agent or call us at 888.393.2667 for more information. Your current agent may be appointed to write our coverage. The Greater Raleigh Chamber of Commerce has partnered with Infintech to bring members much lower credit card processing rates through combined group buying power. With lower fees across the board, members get the savings that maximize their profits. Members enrolled in the program will have access to lower fees, utilizing cost-plus pricing. This transparent pricing model will expose the true costs for processing electronic payments, eliminating the potential for "after-the-fact" rate increases by the processor. The processor rate you are offered through the program will remain the same for the duration of your membership. Infintech is not affiliated with any banks. So if you like doing business with your own bank, so does Infintech. There's no need to make a change. How much can you save? Click here to learn more. Questions? Contact Matt Valego at Matt.valego@infintechllc.com or 919.590.0752.